Compensation package from $89,250 (full-time equivalent inclusive of superannuation) and will be determined based on successful candidates’ relevant skills and experience. We are seeking a highly motivated and passionate postdoctoral researcher to join our AI for Health team. Our mission is to develop Artificial Intelligence technologies for helping deliver top quality health care while mitigating the spiralling costs of the health care system. In order to make this a reality, we develop deep learning methodologies in collaboration with clinical researchers. We are seeking a proactive, passionate postdoctoral researcher to contribute to our deep learning applications for epilepsy management. The candidate will proactively contribute across disciplines and geographies to work towards developing the transformational ideas that will have impact on the world. 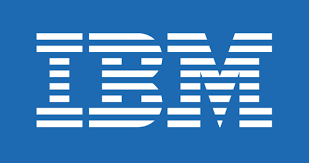 You will work with a team of established researchers to generate new ideas and will be expected to communicate these ideas through scientific publications and conferences, and to contribute to IBM’s patent portfolio. Postdoctoral researchers not only have the opportunity to network with local colleagues but also have access to a global network of eminent, passionate and approachable researchers only too willing to share their knowledge. You will also have the opportunity to explore all IBM has to offer throughout the whole research-development-delivery pipeline. A Doctorate degree in computer science or related field completed in the last two years. - Compensation package from $89,250 (full-time equivalent inclusive of superannuation) and will be determined based on successful candidates’ relevant skills and experience. - A Doctorate degree in computer science or related field completed in the last two years.